Some 1,000 homes were threatened on Sunday as the 22,242-acre Powerhouse Fire approached the northern Los Angeles County high-desert city of Lancaster, authorities said. The fire destroyed six homes and damaged nine other buildings, U.S. Forest Service spokesman Lee Bentley said. The fire was 20 percent contained and burning to the northeast, fire officials said. 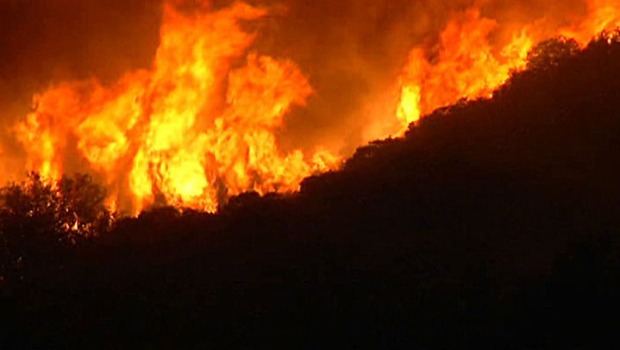 The blaze was burning dense brush on rugged terrain that hasn't burned for more than 80 years. 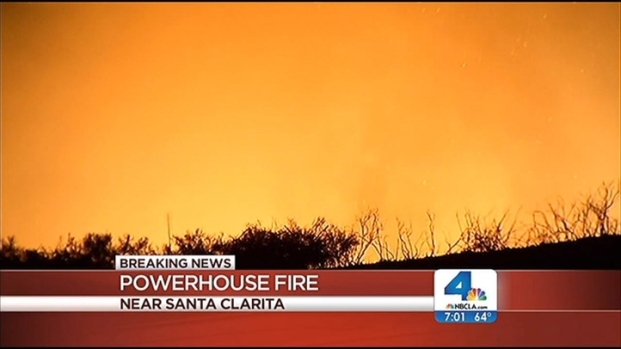 The Powerhouse Fire, which started north of Santa Clarita, went from 5,600 acres to 25,000 acres in less than 24 hours and was burning toward the high desert community of Lancaster. NBC4's news team reports, with Jane Yamamoto on the ground in the Antelope Valley, on NBC4 News at 6 p.m. on Sunday, June 2, 2013. Officials ramped up their staffing to more than 2,000 firefighters on Sunday to try and get a handle on it. The cost of fighting the fire was estimated at about $3 million. Firefighters were hopeful that a slight drop in temperatures and more humid conditions would work in their favor on Sunday. Temperatures reach about 90 degrees in areas including where the fire was burning, officials said. Firefighters were taking no chances. 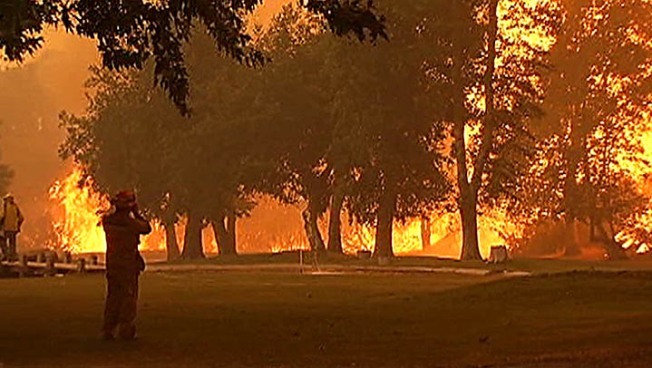 The Powerhouse Fire that started Thursday grew to more than 19,000 acres by Sunday. Reggie Kumar reports for Today in LA Weekend on Sunday, June 2, 2013. 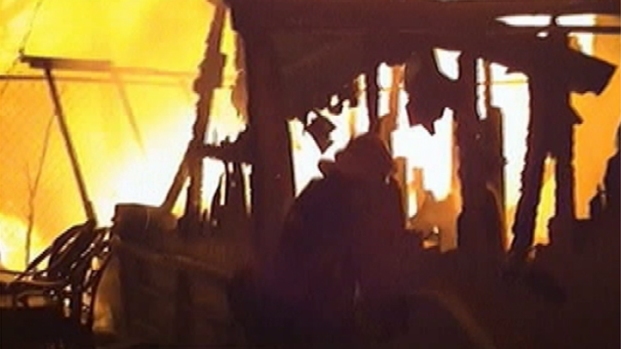 Three firefighters suffered minor injuries while fighting the blaze. One was injured by a falling rock, another suffered from heat stress and a third was injured by contact with poisonous oak. The fire broke out Thursday near a hydroelectric plant known as Powerhouse No. 1 in San Francisquito Canyon, north of Santa Clarita. 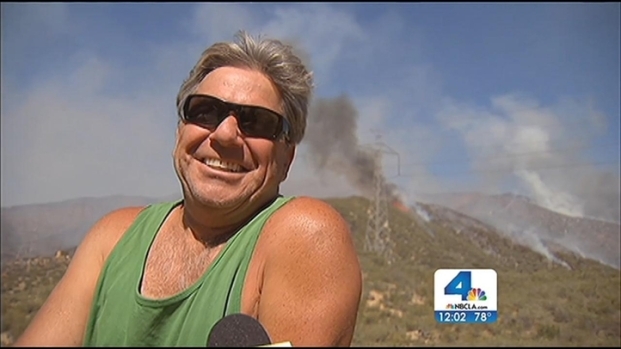 Residents describe the fire fight as they watch a crew battle a 1,500-acre brush fire near Santa Clarita. Toni Guinyard reports for the NBC4 News at Noon on Friday May 31, 2013. The community of Lake Hughes was under a mandatory evacuation order and Elizabeth Lake was under a voluntary evacuation order. Evacuations remained in place along Lake Hughes Road, including two youth probation camps and the Forest Service's Cottonwood Campground. Lake Hughes and San Francisquito Canyon roads were closed. Bouquet Canyon and Elizabeth Lake roads were open to residents only. 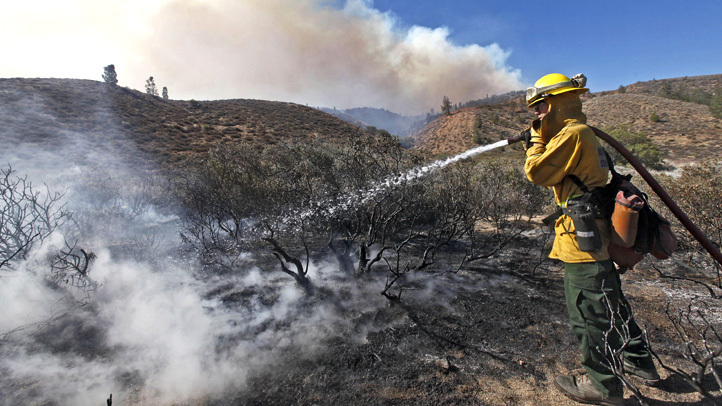 Firefighters continued to battle a brush fire north of Santa Clarita. Reggie Kumar reports for Today in LA Weekend on Saturday, June 1, 2013. A Red Cross evacuation center is located at Marie Kerr Park, 39700 30th St. W. Palmdale, 93551. The Antelope Valley Fairgrounds are serving as a shelter for large animals.